A federal judge in August ordered Bentel to testify under oath because "the record in this case appears to contradict his sworn testimony before the Benghazi Committee." Bentel told the House Select Committee on Benghazi in June 2015 that he had no knowledge of Clinton's private email server. 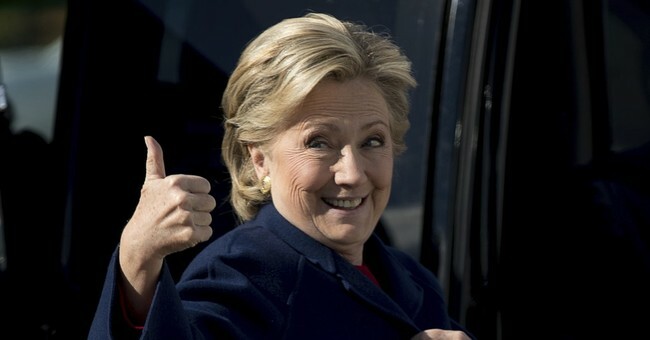 However, the State Department inspector general later discovered that Bentel "told employees in his office that Secretary Clinton's email arrangement had been approved by the State Department's legal staff and also instructed his subordinates not to discuss the Secretary's email again," according to the court order. The email fiasco that’s plagued Hillary touched the Obama White House today when Wikileaks revealed that Clinton’s former Chief of Staff at State, Cheryl Mills, scrambled to remove any traces that President Obama had corresponded with Clinton through her unsecure and unauthorized email server via a pseudonym. “We need to clean this up – he [Obama] has emails from her – they do not say state.gov,” wrote Mills on March 7, 2015, five days after The New York Times reported that Clinton had a secret email server. Obama had said that he found out about the secret server in the papers. That’s apparently another lie in Hillary’s email saga.